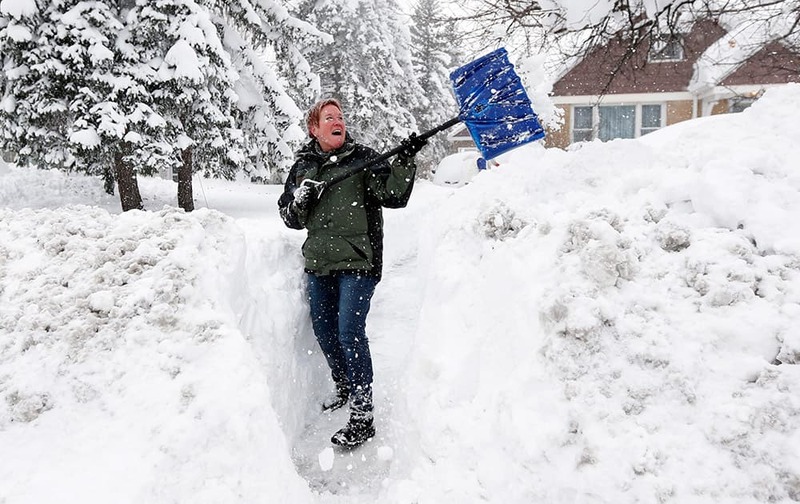 Sue Radka helps shovel out a friends driveway, in Lancaster, New York. 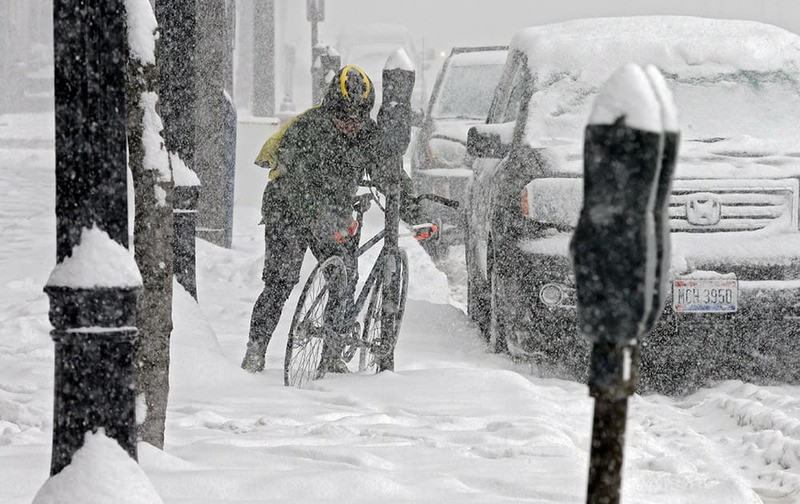 A bicycle messenger chains his bike to a snow-covered parking meter in downtown Cleveland. 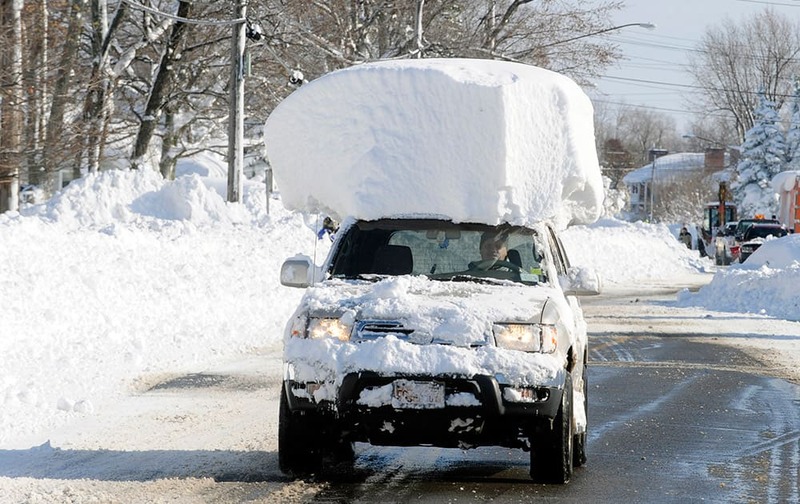 A vehicle, with a large chunk of snow on its top, drives along Route 20 after digging out after a massive snow fall in Lancaster, New York. 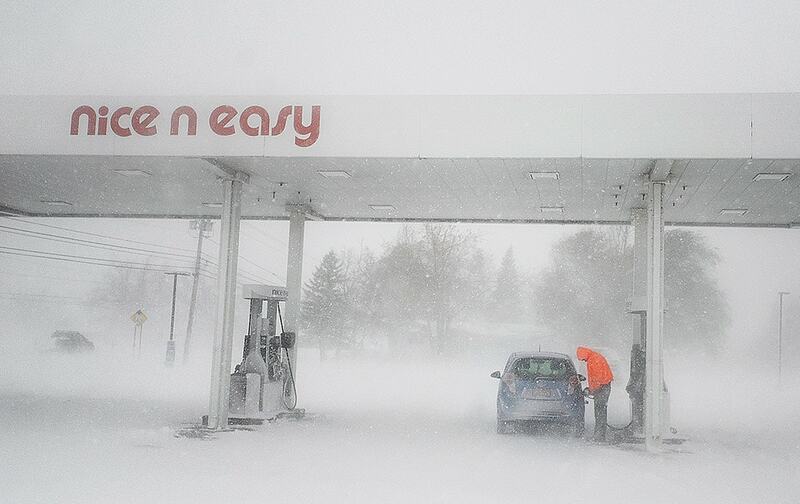 A man puts gas in his tank as snow falls at a gas station on New York State Route 12F near Brownville, New York. 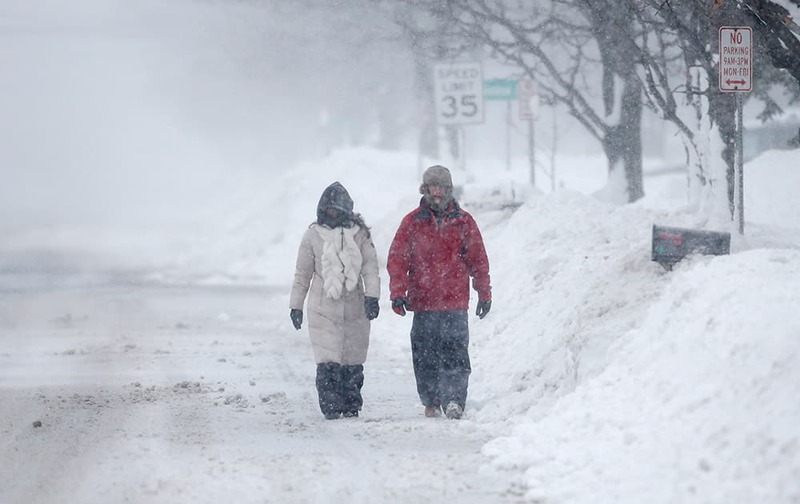 Mike Valentine and his girlfriend Jill Kless walk home after shopping at Tops as snow falls in Boston, New York. Pedestrians walk along a snow-covered street, in Lancaster, New York. 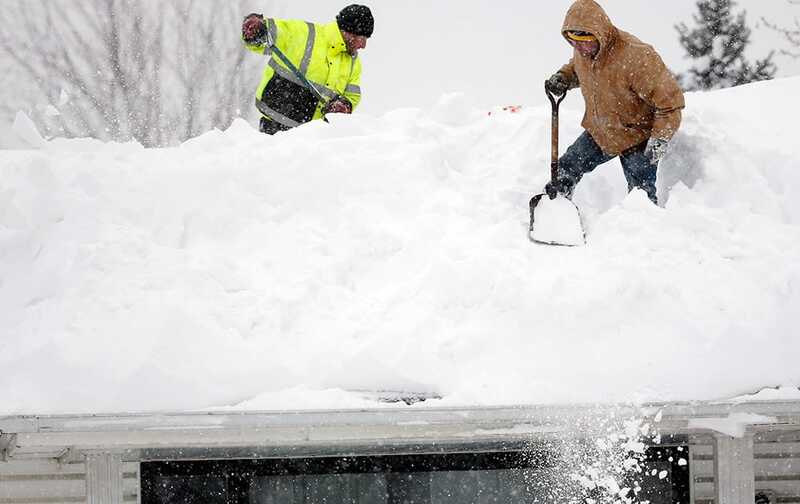 Mark Settlemyer, left, gets help clearing snow from the roof of his mother's house from Ken Wesley in Lancaster, New York. 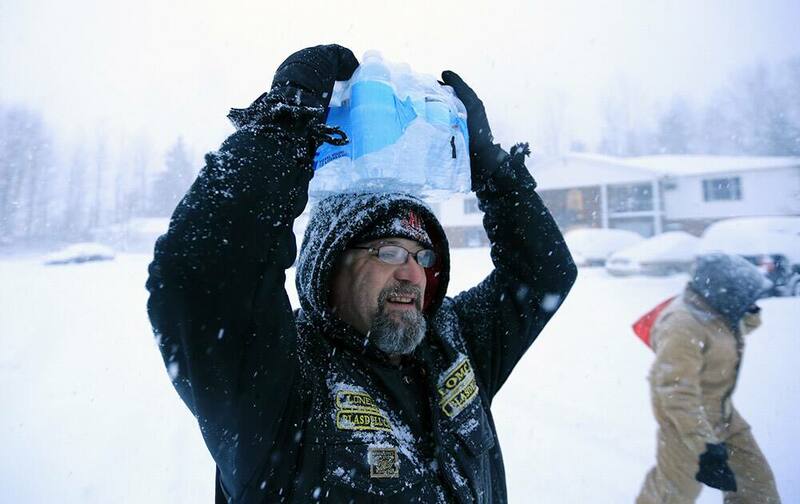 Charles Miller a tractor trailor driver for DOT foods hugs and says goodbye to Hope Clingan, a college student from Cuyahoga Community College in Ohio along camp road in Hamburg, New York. 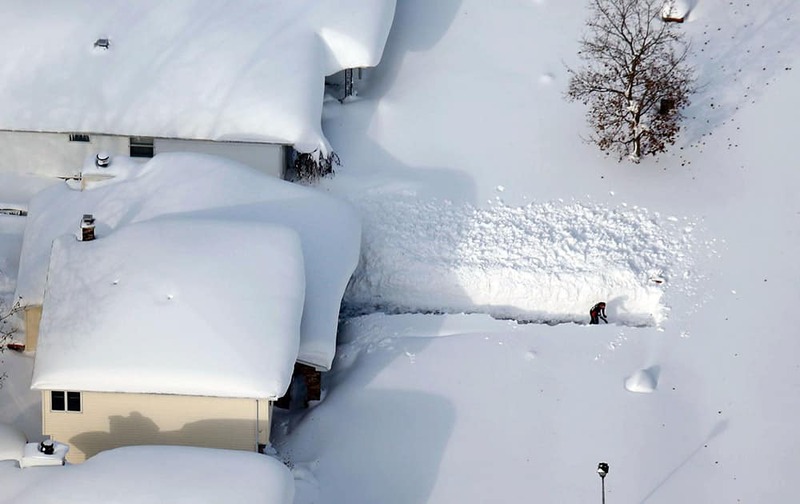 A man digs out his driveway in Depew, New York. 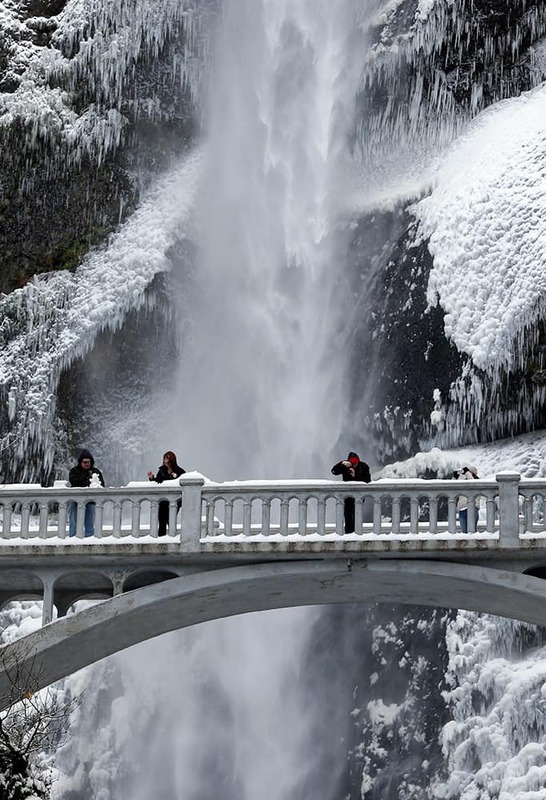 Vistors play with snow and take photos against the backdrop of ice and snow covered walls at Multnomah Falls in the Columbia River Gorge near Bridal Veil, Ore.